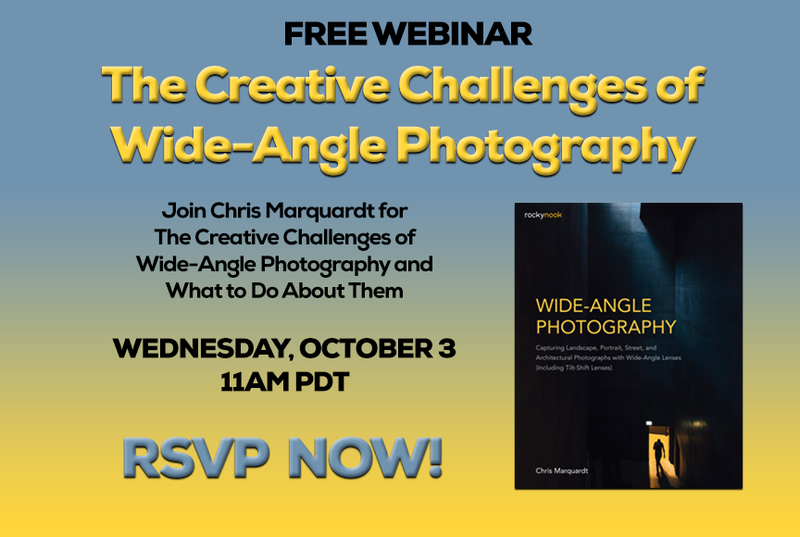 Heya, I will hold a free webinar on the challenges of Wide-Angle photography on Oct 3 2018 at 11am Pacific Time. Can’t make that time? Register anyway, because that way (and only that way) you will get access to the free replay later. Again, everyone who RSVP’s will receive both a link to the live webinar, and a link to the replay. The live webinar is on Wednesday, October 3rd at 11am Pacific Time / 20:00 Central European Time.